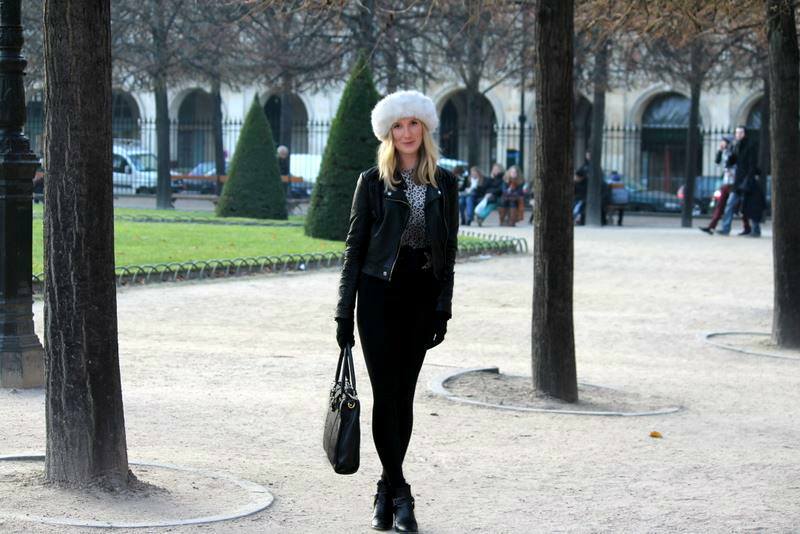 More photos taken in the beautiful Place des Vosges. I feel like this outfit is perfect for strolling around Paris. Total black which is always chic, a touch of Leopard and a cute vintage fur headband.